Sport-specific shoes affect the way you play. Make sure your feet are professionally measured by Dr Wolf to find a correctly sized shoe. During the fitting he is diagnosing the structure of your foot, taking into consideration the width, volume, arch height, foot shape, biomechanics, movement parameters specific to your sport, muscle factors and training regimens. Shoe modifications to accommodate deformities and pressure points are available as well as custom orthotics and foot beds specific to the shoe, that enhance balance, performance and comfort. . He then might select multiple shoes within the same category based on the information he has gathered. Selection is based on fit, performance, and your biomechanical needs. If you participate in a certain sport at least two to three times a week, you should wear a sport-specific shoe. • Have a thick, stiff sole that provides support for impact. • Have high ankle construction that supports the ankle during quick changes in direction (for basketball). • Be lighter, have less midsole support, and contain a sole more responsive to quick starts and stops (for volleyball). • Have a good amount of high ankle support. This support is especially important for linemen and other players who make frequent lateral movements during play. • Allow for proper traction on a grassy field, in both wet and dry conditions. • Never be hand-me-downs; ill-fitting cleats increase the risk of ankle injuries. • Offer support to prevent arch pain, which frequently affects catchers. Customized shoe inserts called orthoses may help alleviate the pain. • Not include metal baseball spikes for athletes younger than 13. • Try multi-cleats and heel lifts for children ages 11–15 to avoid heel pain. • Provide shock absorption to help runners avoid injury. Running shoes are made for high-impact forward motion and should not be used for sports with lateral movement. • Match your foot’s arch type (high, medium, low). 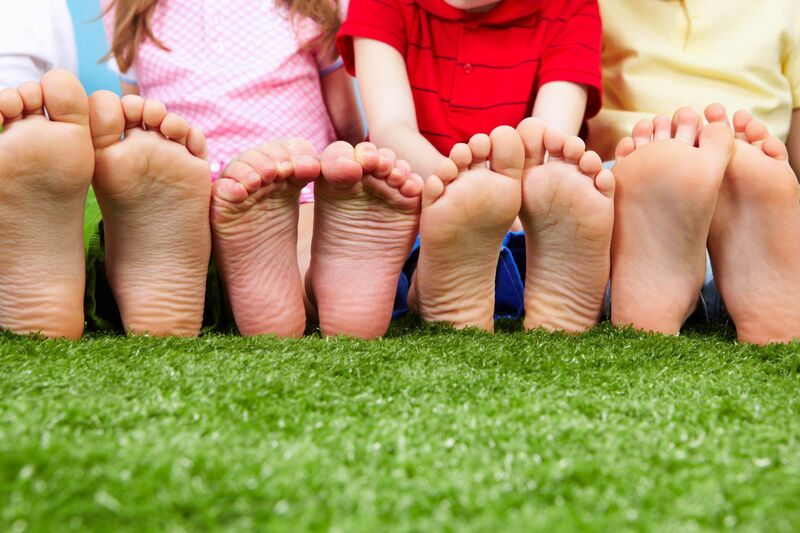 A podiatric physician can measure your feet and let you know what type to look for.